Most children struggle to cope with the arrival of a new family member. Until then it is likely that they have been the center of attention and affection of their parents, so they are not willing to share it with a newcomer. This is the reason why many children start being jealous as soon as they learn that their mother is pregnant. But this is not inevitable. If you prepare your “big” for this event, he will probably be very excited about welcoming his new companion. The more the child can think about how his life will be after the newcomer arrives, the easier it will be for him to live with this great change. Therefore, as soon as you know that you are pregnant, start preparing it. It is important that you explain to him what the arrival of the new member will mean for the family, that you talk to him about the benefits of having a brother or sister, without forgetting to tell him that with his arrival you will have less time to play with him but that does not mean that you will not like him less. You can also show him the pictures of each ultrasound so he can see how the baby is growing to make him feel part of the pregnancy. Because in addition to being a mother, you are a wife, a worker, a girl and a friend, it is likely that the whirlwind of the daily does not allow you to spend as much time as you want with your child. 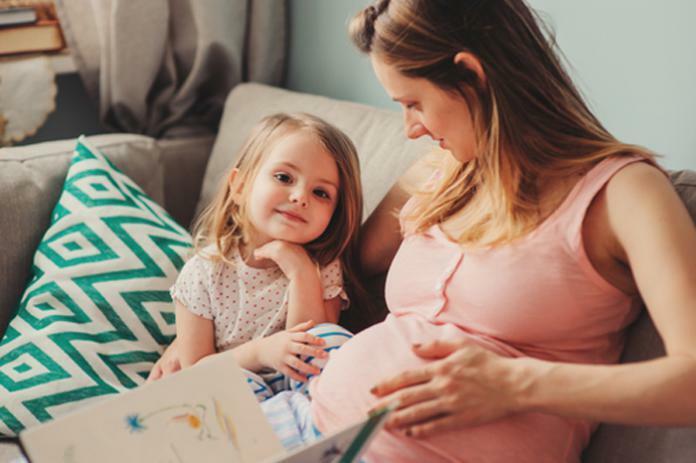 However, it is important that you find a space to take care of your child, that you pamper him and that you create a strong emotional relationship before the arrival of his little sister or little brother. Remember that more than the birthday present or Sunday at the theme park, it’s the little details of everyday that really make the difference and that will give your child the feeling of being loved. This way, not only will you avoid the jealousy of your new child’s arrival, but you will also strengthen your relationship and build confidence in yourself and your sense of security. By associating the child with the preparations for the arrival of his sister or brother, he will feel not only important but also useful. Moreover, it is a way of increasing its responsibility and stimulating its development. You can ask him what his tastes are for decorating the baby’s room or helping you choose clothes or toys. You can also ask for their opinion in family discussions about changes that will happen at home after the baby arrives. For a child who is used to being the center of attention of his parents, the fact that a new baby arrives in the family can generate a lot of worries and fears. This is quite normal because it will be the first time he will face such an experience. However, unlike adults, children do not have enough psychological tools to confront their fears and find answers to their doubts. That’s why it’s important that you talk to your son or daughter about what’s worrying him at all times and that he or she feels you’ll be there to listen to him. In this way, not only will you help him manage his emotions, but you will also strengthen your mutual trust. A very effective technique to prepare your child for the arrival of the new kid is to make him aware of the experience you have with him from birth to today. Remember that children do not think according to the same logic as adults, so it is difficult for them to understand that they must share the attention and affection of their parents. If you help him to put himself in the place of his future brother or future sister, explaining to him that when he was born, you were much less well prepared but that just how big he is now he can help you to take care of the little baby, he will stop being jealous to become responsible for the well-being of his little brother or his little sister.